INDUSTRY.co.id - Jakarta, Artha Graha Peduli (AGP) today, Saturday (7/7/2018) held an apple event with 1000 volunteers in order to guidance and coaching from the INASGOC to secure the 2017 Asian Games title. Events in the SCBD area were attended by AGP founder Tommy Winata and INASGOC coach Syafri Syamsudin, INASGOC secretary general Eris Herryanti along with other INASGOC petals. In his speech, Eris Herryanto was pleased to be working with AGP to assist in the framework of securing the ASEAN Games 2018. As is known, the mandate of Mr. President Joko Widodo to us (INASGOC) is to succeed the Asian Games 2018. "Successful implementation is inseparable from security, this is what we need to strive to uphold the success of Asian Games 2018," said Eris. Asian Games 2018, will be officially opened on 18th August and will end on September 2nd, 2018 with a total of 45 countries. According to Eris, at this time the number of athletes who have registered about 21 thousand, the official there is 30 percent, and there will be 5000-7000 mass media will cover, and thousands of foreigners who will come to Jakarta and Palembang. "Therefore, we need the support of all parties of the community to help secure and succeed the implementation of Asian Games," he said. Added Eris, estimated at the Asian Games opening ceremony there will be almost approximately 100 thousand people who will be present in the area of ​​Bung Karno (GBK), Jakarta. "It is designed for parking spaces not in the GBK area, but in the area of ​​GBK supporters including SCBD areas, therefore the existence of SCBD is very important as a buffer area of ​​GBK and will likely be very crowded vehicles will be parked," explained Eris. Ronny Leonard as Artha's Managing Director of Security Group said the total as a whole we prepared 1,200 personnel divided from 4 security places, SCBD area, Artha Gading Mall, Ancol area, and Hotel Borobudur. "We have arranged the security from August 15 to September 3, 2018. There will be 59 motorcycles, 30 bicycle personnel, 2 ambulance, and 2 truckloads of personnel and food tents," said Ronny. Meanwhile, related to security at Hotel Borobudur, Ronny explained, the total personnel that we muster for security at the Hotel Borobudur about 270 personnel. is known that, Hotel Borobudur be one of official Partner Hotel Asian Games for the Mass Media and Delegation of participating countries Asian Games 2018. "So far the preparation of all aspects is ready and we make extra facilities ranging from culinary night market and exhibition of SMEs, as well as media room aim to entertain the media and delegation of Asian Games participant countries," added Ronny. 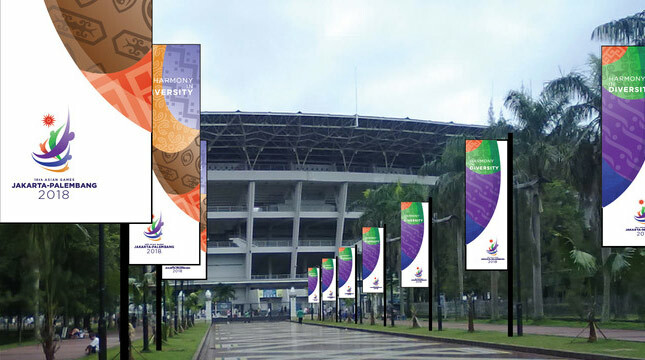 Ronny hope, with the participation of AGP in the framework of Asian Games security can help the government in succeeding the Asian Games 2018.